Contest: #BuildYourUmbrella with us this Spring! March is here and the kids will soon be wearing muddy boots, rain coats, and dancing in the rain. As we prepare for this joyful spring season, we are inviting educators, parents, and communities to enter our exciting March contest. 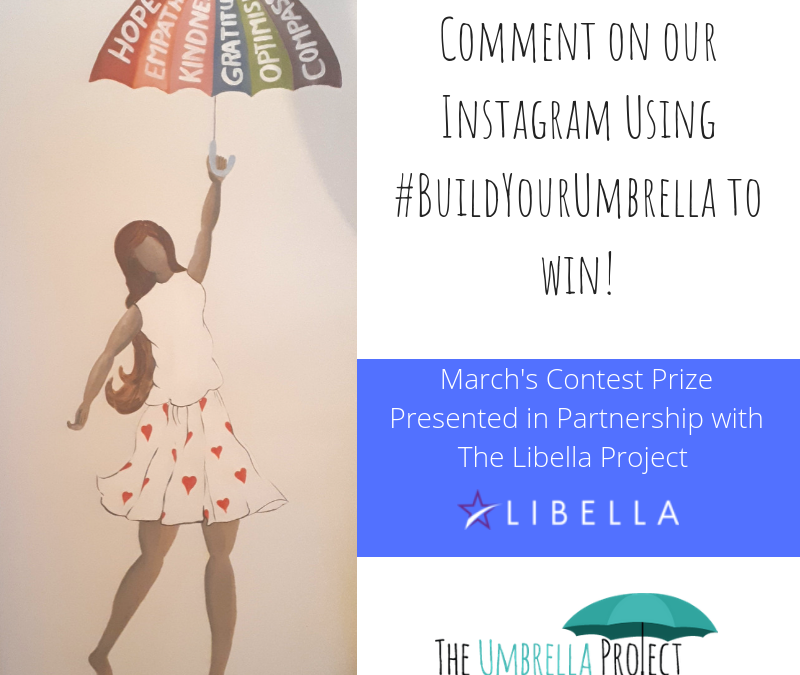 Comment on any of our Instagram (@umbrellapjct) posts with the hashtag #BuildYourUmbrella. Entries will be accepted until March 31st 2019 at midnight. Share with us how you are building resilience and wellbeing for your family. For example: you can let us know what your favourite Umbrella Skill is or how you’re actively building your umbrella this season. We will be selecting one lucky winner to receive a beautiful, hand painted doorskin by our friends at The Libella Project. The Libella Project recognizes the washroom as a space of safety and peace for students in troubled times. They are working to make the washroom an even more supportive space by painting positive messages on the bathroom stalls. Learn more on their website HERE. Download a PDF copy of this infographic by clicking HERE. Infographic text is below. ‘I lost my temper. What I said was wrong. I interrupted you. I misunderstood what you were trying to say. I wasn’t listening….’ Mistakes!! They’re everywhere. As parents, there is a common misconception that we always need to be right and perfect in the eyes of our children. Let’s face it… nobody loves making mistakes. 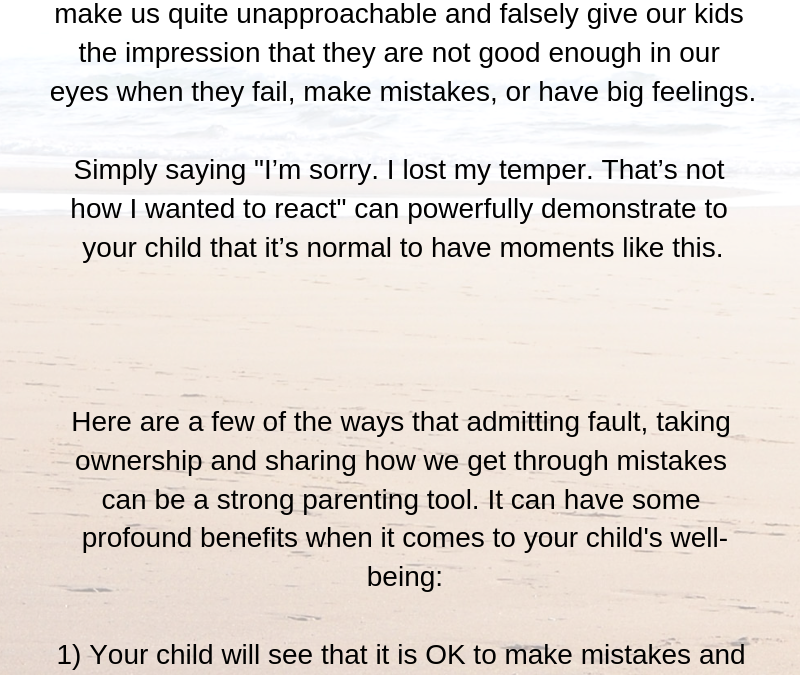 Not owning our feelings, good and bad, can actually make us quite unapproachable and falsely give our kids the impression that they are not good enough in our eyes when they fail, make mistakes, or have big feelings. Simply saying ‘I’m sorry. I lost my temper. That’s not how I wanted to react’ can powerfully demonstrate to your child that it’s normal to have moments like this. Your child will see that it is OK to make mistakes and to take ownership for them. Your child will believe you more when you empathize with them and your bond with them will strengthen. Your child will learn that there are sunny days on the other side of rainy ones. You won’t have to instruct your child how to be resilient. They will have a great example right in front of them. You increase the chances your child will learn from their own mistakes instead of externalizing them. Awe is that feeling we get when we’re inspired and amazed by something fantastic in this world. Cultivating a sense of awe can help us to build gratitude. Learn more in today’s video tip with Dr. Jen! Watch it below or join our Facebook Group for parents. 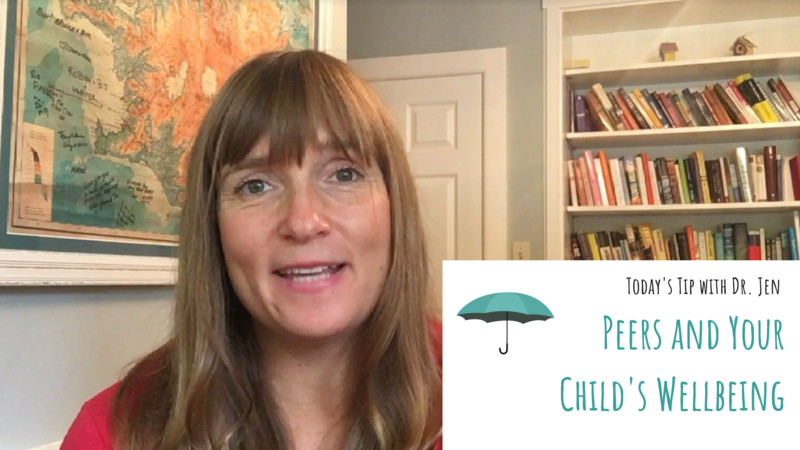 Today, Dr. Jen talks about a critical element of your child’s wellbeing – their peers! All day, every day, your child receives subtle cues and messages from the people around them. Children’s wellbeing is a collective effort. 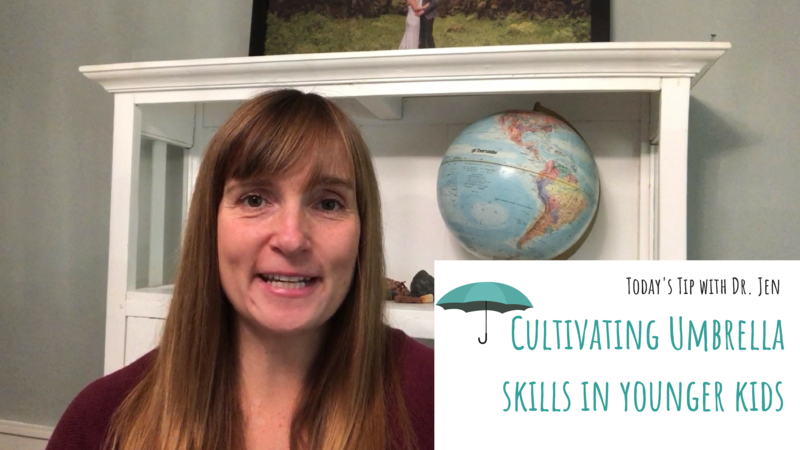 Share some of your favourite tips, share this video, and encourage other people in your life to model wellbeing skills.